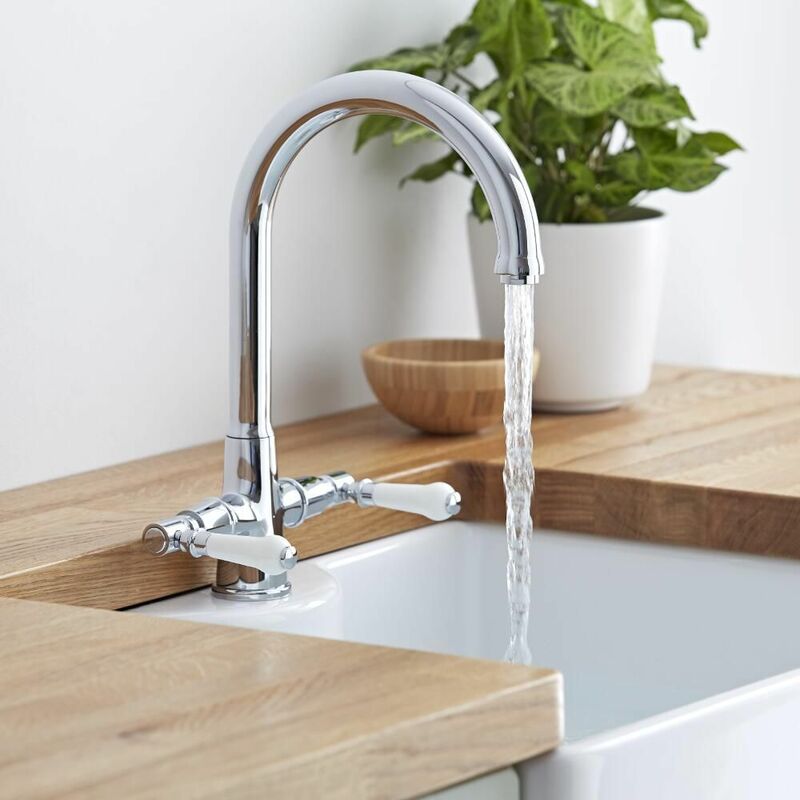 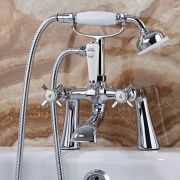 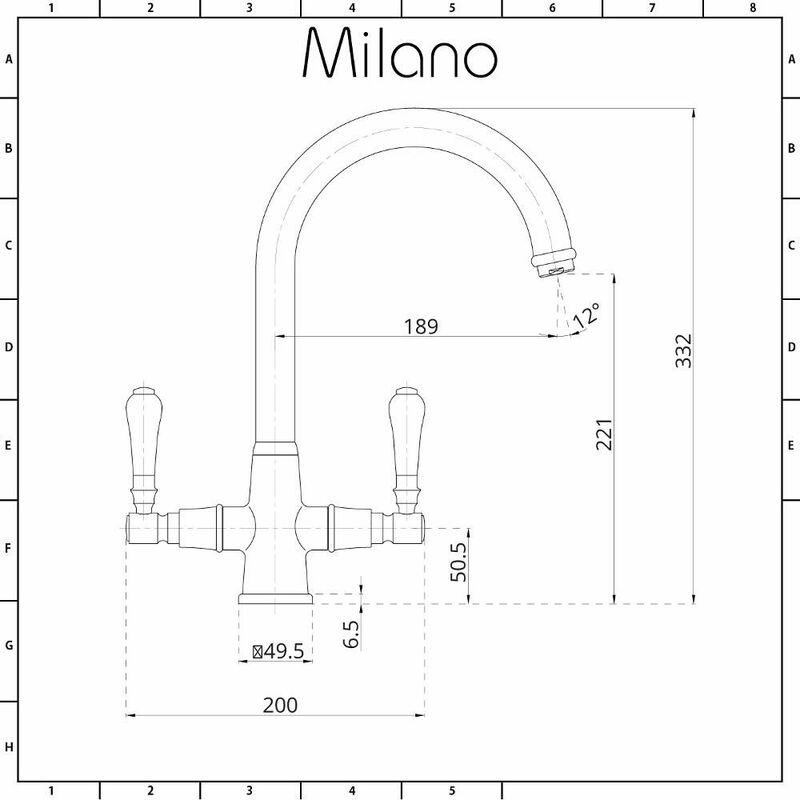 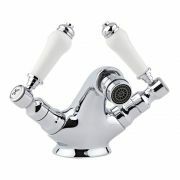 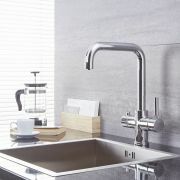 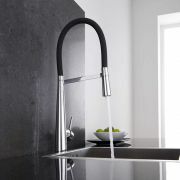 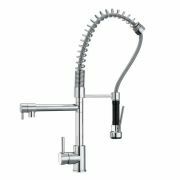 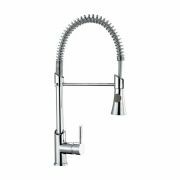 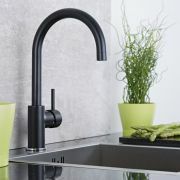 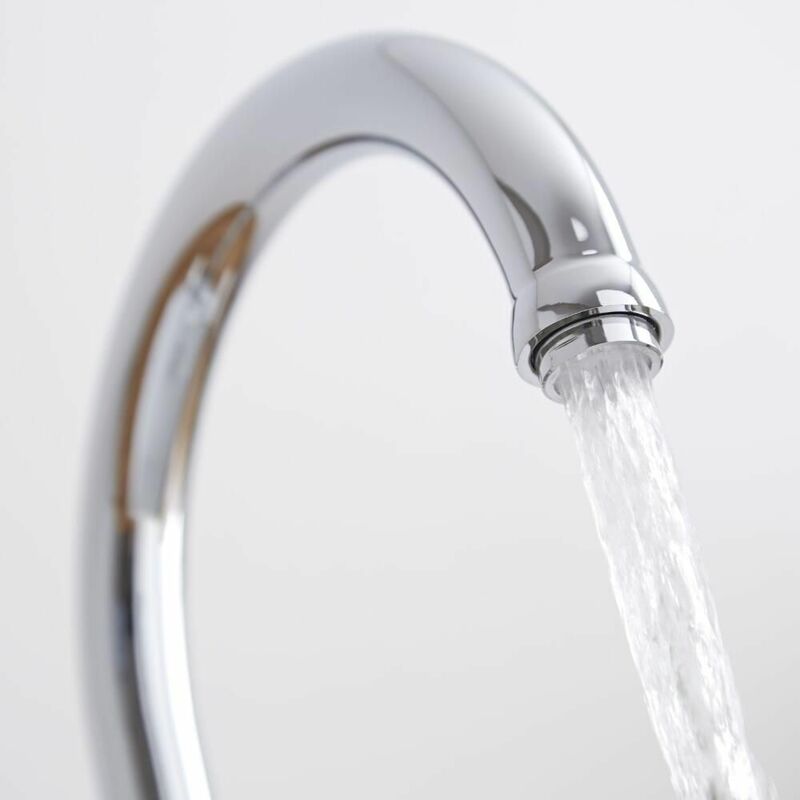 Enhance your traditional kitchen with the Milano Victoria kitchen sink mixer tap. 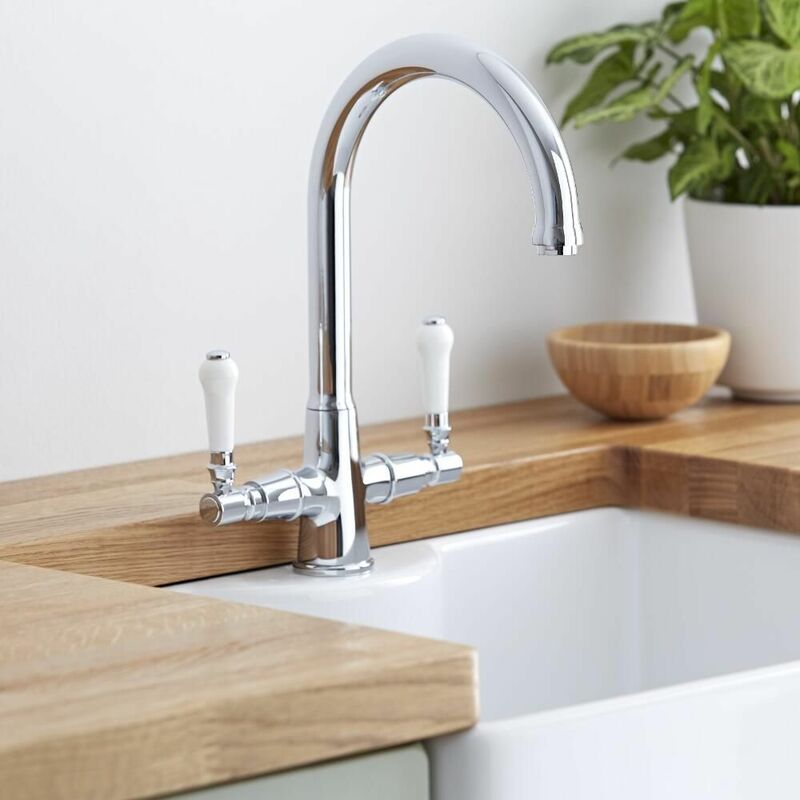 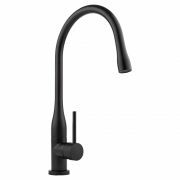 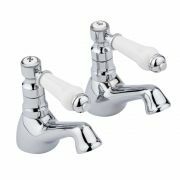 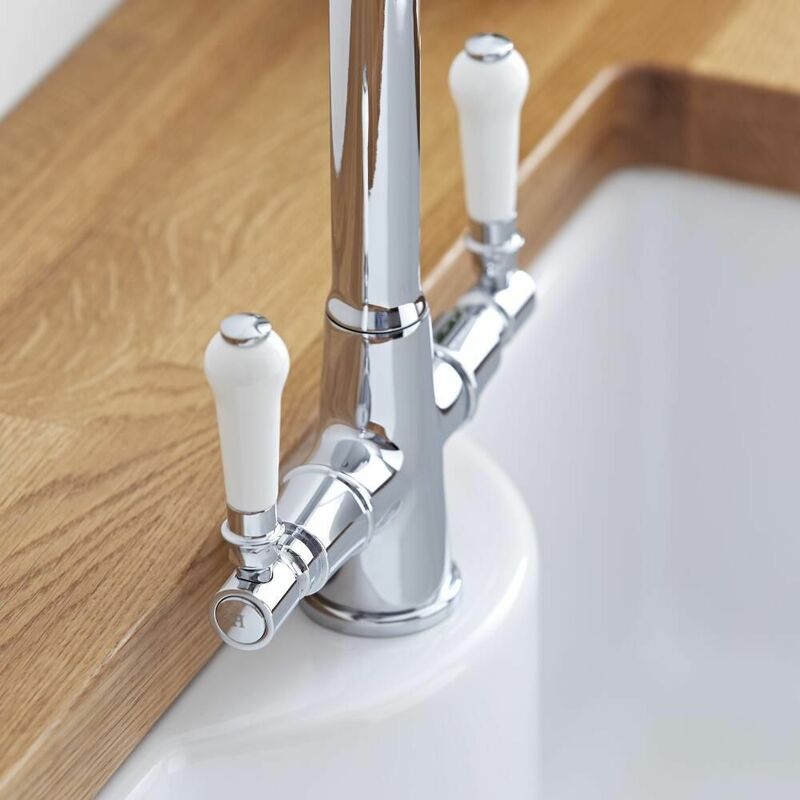 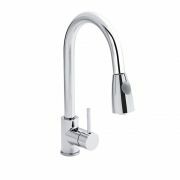 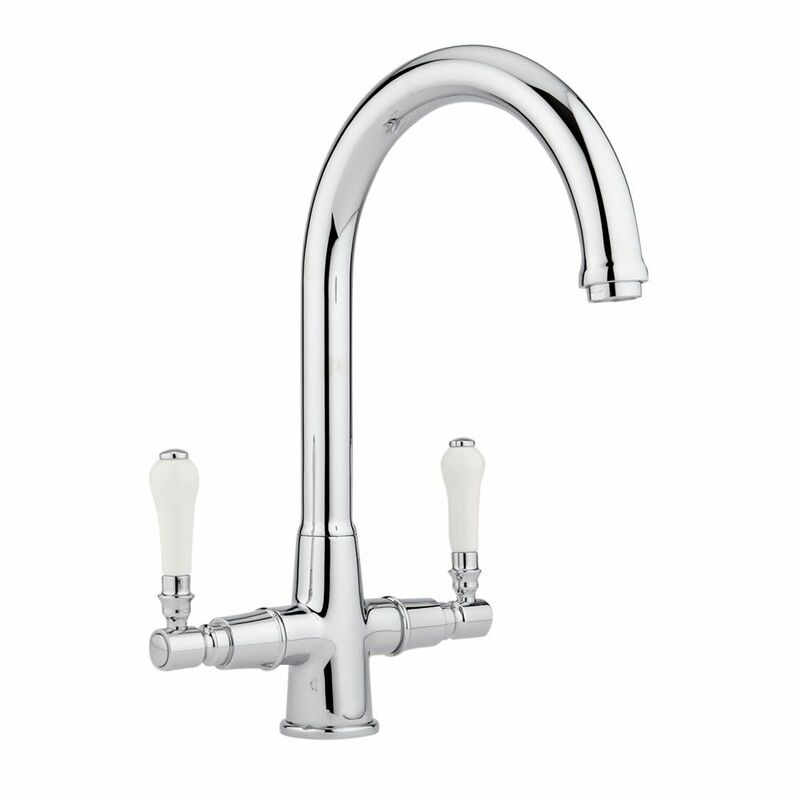 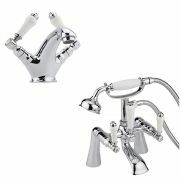 Incorporating high quality ceramic disc cartridges to ensure a good flow rate and to prevent drips and leaks, this kitchen mixer tap features attractive ceramic lever handles and a brilliant chrome finish. 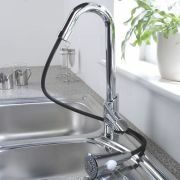 It has a solid brass construction so you can be assured of great durability.